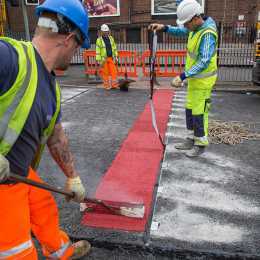 Anti-skid surfacing can significantly improve the safety of areas for pedestrians and workers, as well as motorists on the road. 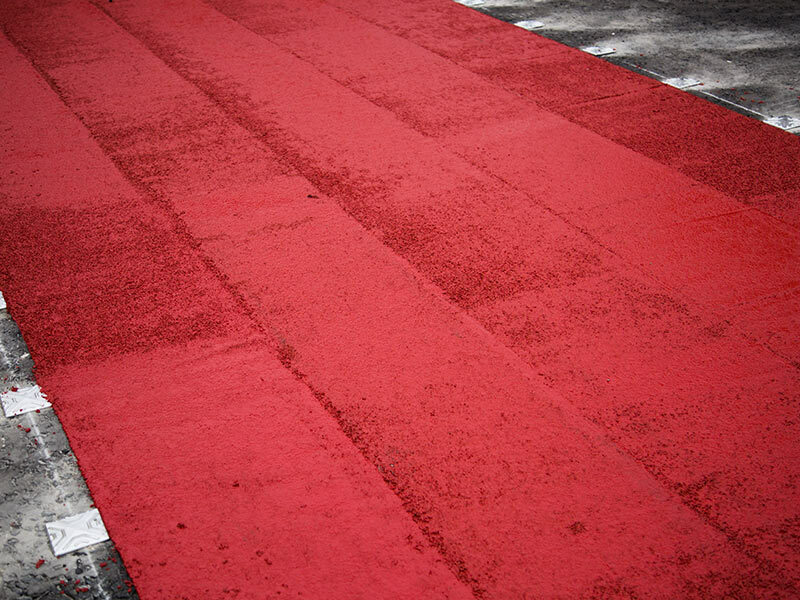 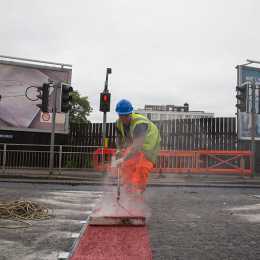 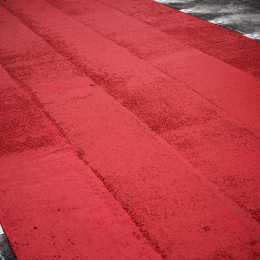 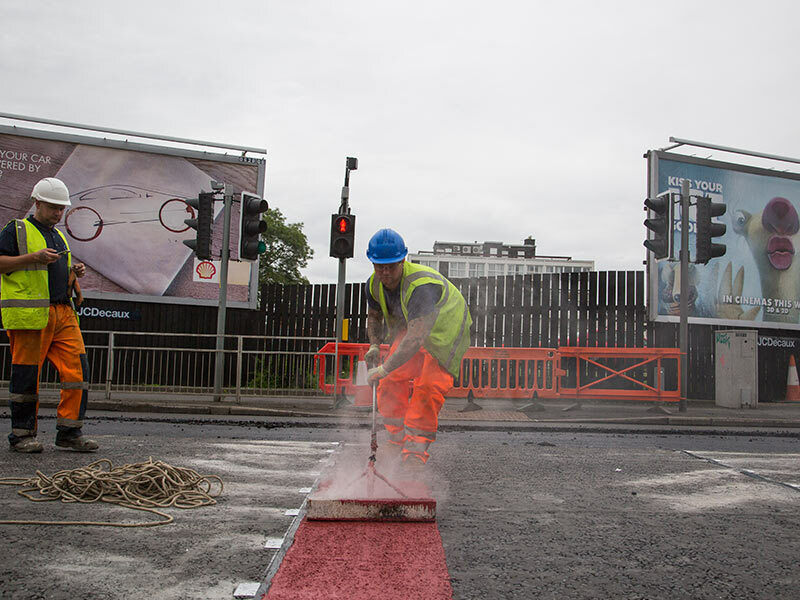 With an extensive range of hot and cold-applied high friction surfacing, we can adapt our methods and materials to accommodate for every one of your site specific, anti-skid requirements. 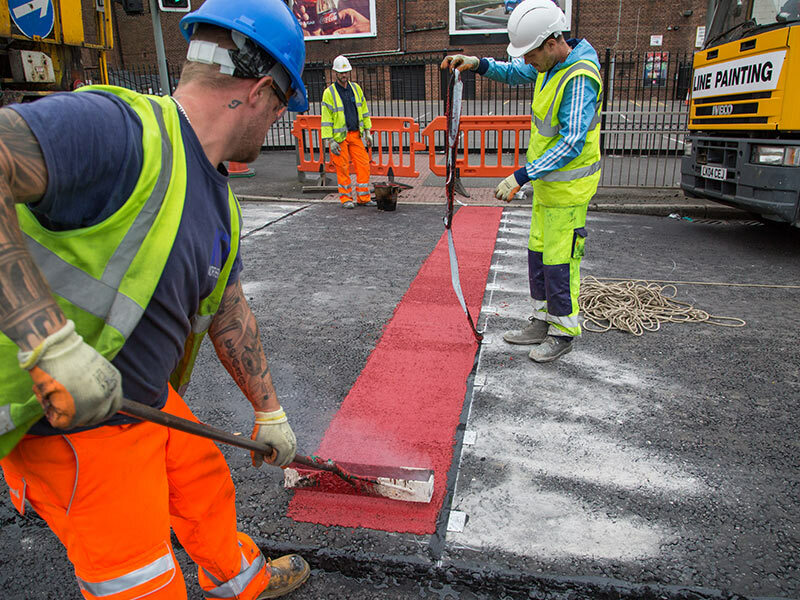 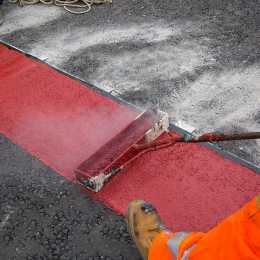 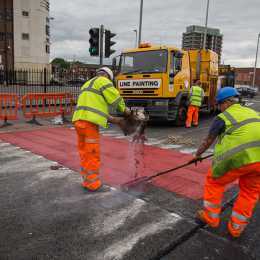 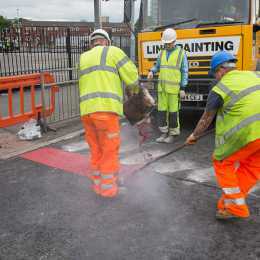 A range of coloured surfacing – a simple and effective way visually delineating or reinforcing messages of conventional road markings, cycle ways, bus lanes, etc. 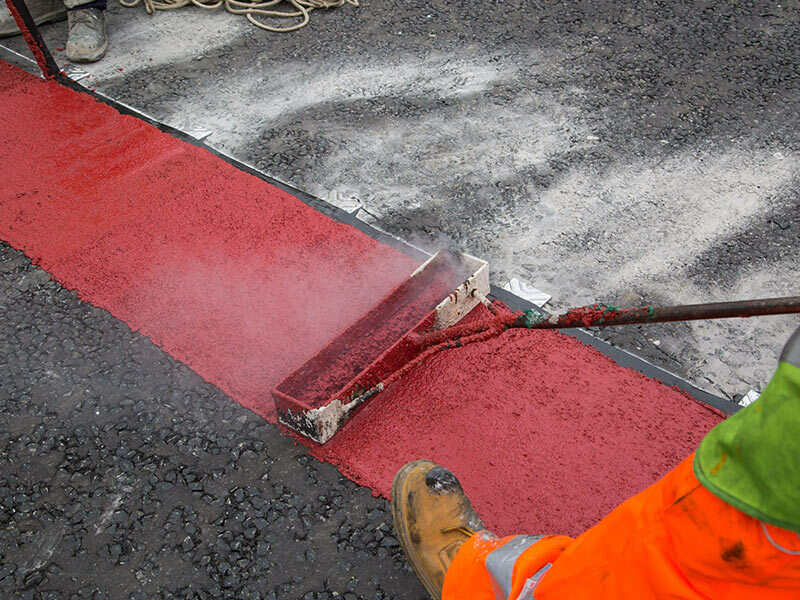 With extensive experience in our field, here at Northern Marking Ltd we are committed to providing our customers with a first class, efficient service, from the initial site visit to the after sale care. 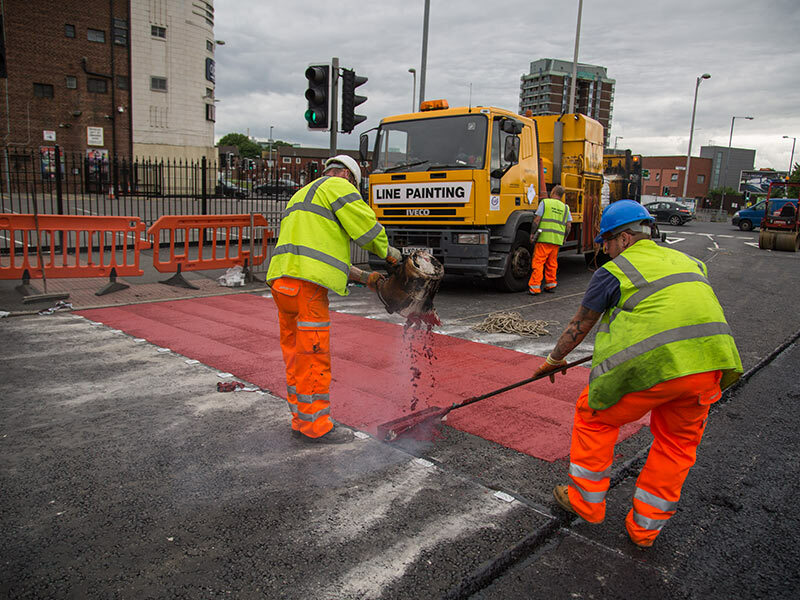 And being Sector 7 scheme approved, we can guarantee our quick and professional services on anything from quiet private roads to major public highways. 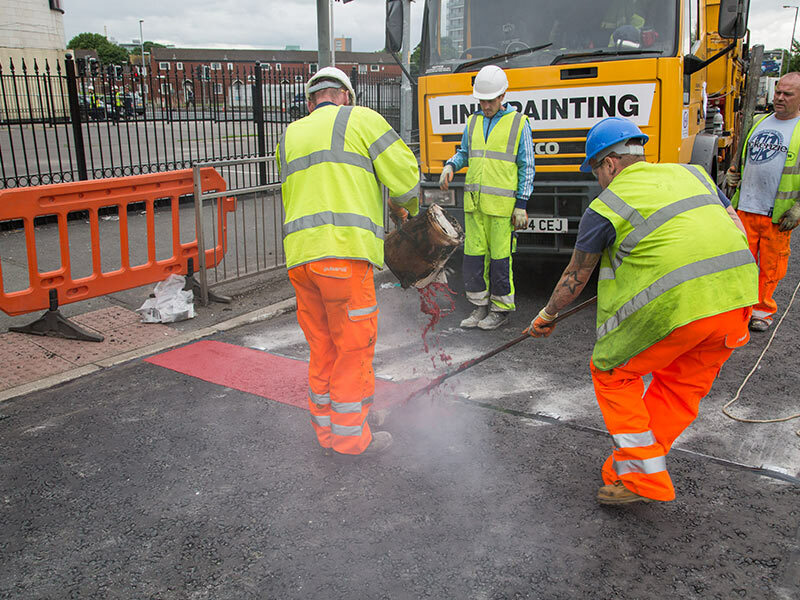 If you want to learn more about our extensive range of anti-skid materials, or want to book a free quotation for your site in the North West, don’t hesitate to contact our team today.